The logo and identity I had created for Dan was bold and unique, I wanted to carry on this theme with the printed advertising campaign. Because the public is exposed to so much advertising they tend to ignore most of it. The priority for this project was to capture the target audience's attention enough for them to investigate further. 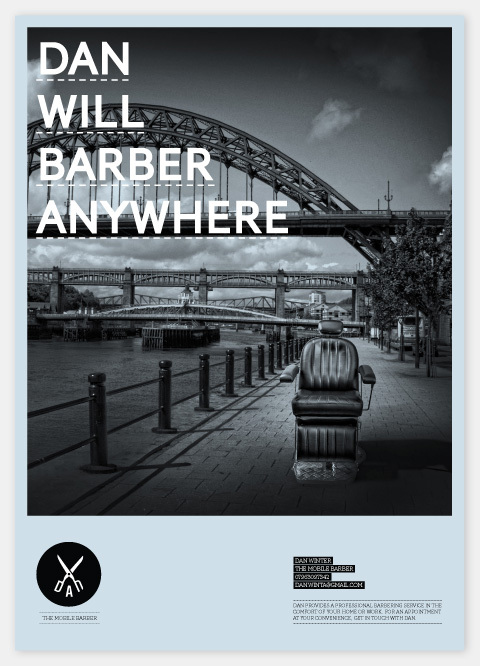 As Dan's main selling point is that he is mobile, I created a concept that exaggerated this by using a simple four-word statement 'Dan Will Barber Anywhere' coupled with an impactful image of a barber chair instantly recognizable places around the North East (his mobile barbering area) that his target audience have strong connections with. 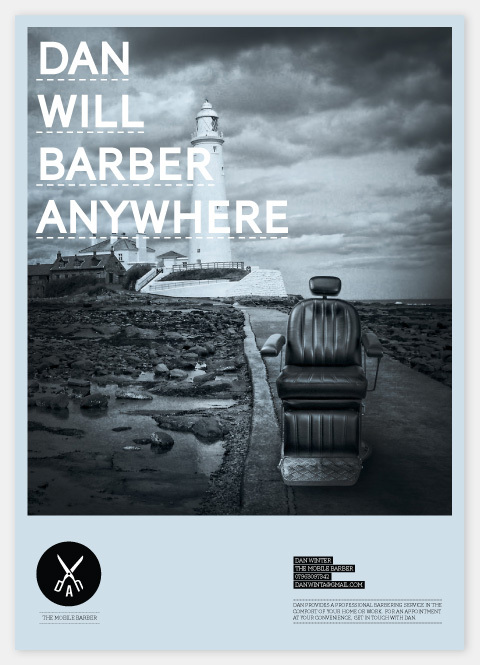 As a lot of Dan's business will come from word of mouth, the powerful images act as a talking point to spread the word organically throughout the North East. 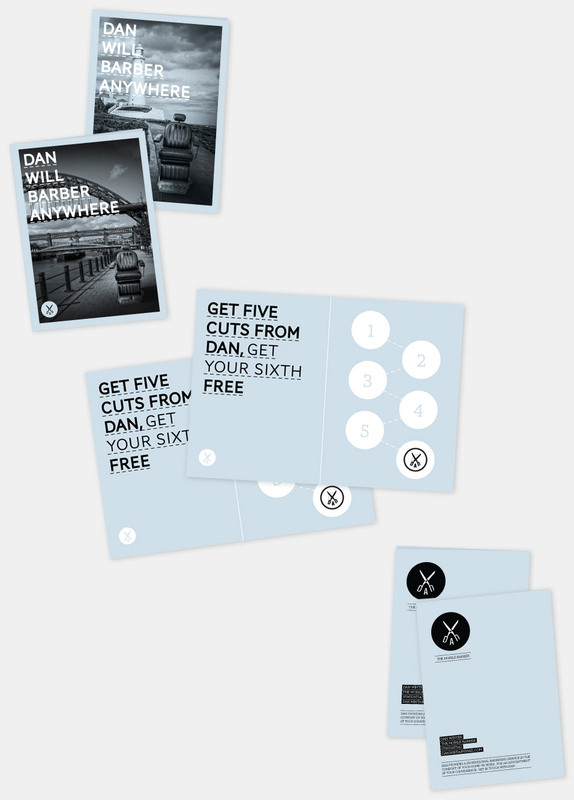 To promote the business and generate loyalty from customers I designed a set of leaflets that feature an incentive based stamp system to which Dan stamps his unique symbol on the card five times to receive a free haircut. "I was excited about working with Anton on advertising and printed materials as I was so impressed with the job he did on my business logo and identity. Anton stressed the importance of having a strong idea behind the advertising and the final result shows just how powerful an idea can be. A lot of the customers I now have all commented on the adverts they had seen and said they were just so intrigued with images that they wanted to give me a call"